This book was the biggest surprise ever! Okay. Let me start by saying that I don’t like classics. I’ve read very few (and by that I mean less than 5) and haven’t liked any of them. In fact I’ve put most of them down and never bothered to pick them up again. But Pride and Prejudice was a HUGE surprise. I loved it. I absolutely loved it! Usually my biggest problem with classics is the language. I find it hard to read in a language that is not modern, doesn’t have a lot of dialog and is generally not very familiar to me. And I’m not saying that this book didn’t use that kind of language, but it wasn’t as much of a deal as with other classics I’ve read. It didn’t get tiring with descriptions and whatnot, and even though it was quite a long book, I found it quite easy to read. For a classic, that is. Don’t expect it to be as fast as modern contemporaries. As far as the plot goes I have to say I’m amazed. I’m sitting here right now thinking about what I liked about the plot and there’s really nothing extraordinary. And yet I loved the book! It’s a basic story of two people who hate each other and then slowly fall in love. Nothing new, nothing different, nothing special and still SO interesting. Hat off to Jane Austen. The main thing about this book, the thing that makes it so remarkable are the characters. And more importantly the dynamics between the characters. I know it sounds cliché, but that’s the truth. The are so many characters in this book (seriously. It gets kind of confusing) and they’re all so different from one another, which makes it extremely interesting to see the way they interact. And although I think that most characters are quite overdone, I also think that that’s the whole point. I see it as a way of humor and maybe even satire, which made me enjoy the book even more. Anyway, after this book I have to say that I will certainly try to read more classics from now on and definitely some of the “classic” classics, like Wuthering Heights or Sense and Sensibility. If you are hesitant with classics like me, but want to try reading some I highly recommend trying to read this one. It’s the best classic I’ve ever read. By far. Love this book! Jane Austen is amazing. While her other most famous books are Sense and Sensibility and Emma, my favorites of hers, after Pride and Prejudice, are Persuasion and Northanger Abbey. And if you haven’t seen it already, you NEED to watch the Pride and Prejudice mini series that has Colin Firth in it. It’s on my reading list. My mile long, extensive reading list. *sigh* I’ll never get it finished. Same problem over here too! I will never be able to read all the books I want to! It’s so sad..
Great Review! Absolutely LOVE this book. 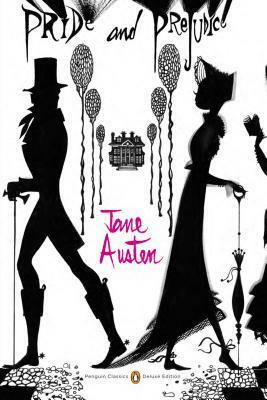 I remember I was quickly hooked by the flawed, wonderfully drawn characters and I adore Jane Austen’s wit and irony. Austen’s books show us how to see through people’s politeness and into their true characters.